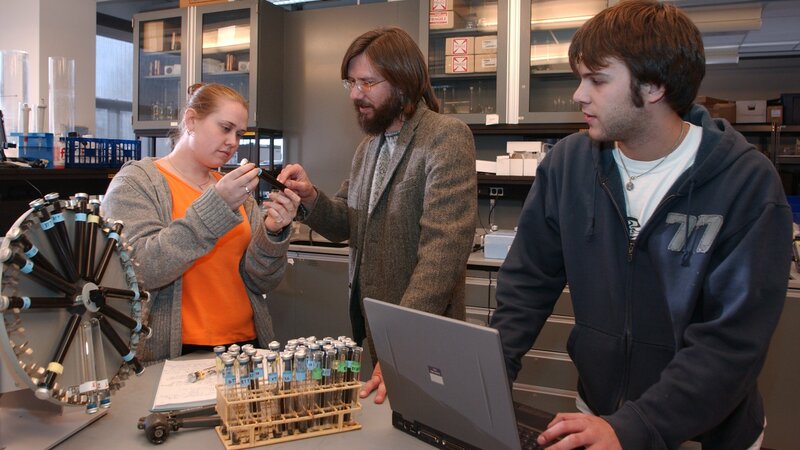 The CEE department maintains state of the art teaching and research laboratories to facilitate and enhance student learning. The structures laboratory houses a versatile steel testing frame with a 55 kip actuator capable of static and dynamic loading, a thermally controlled creep stand as well as a concrete freeze/thaw apparatus. 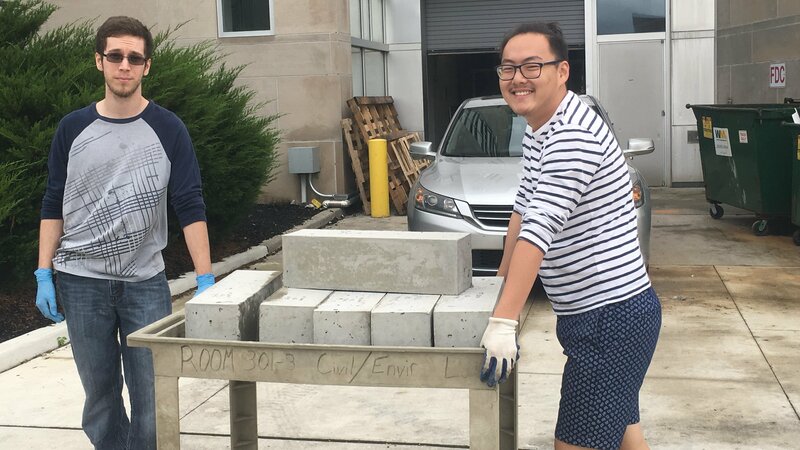 The laboratory is equipped with all standard apparatus for the mixing and testing of concrete as well as a full suite of load cells, displacement transducers, strain gage instrumentation, and data acquisition systems. 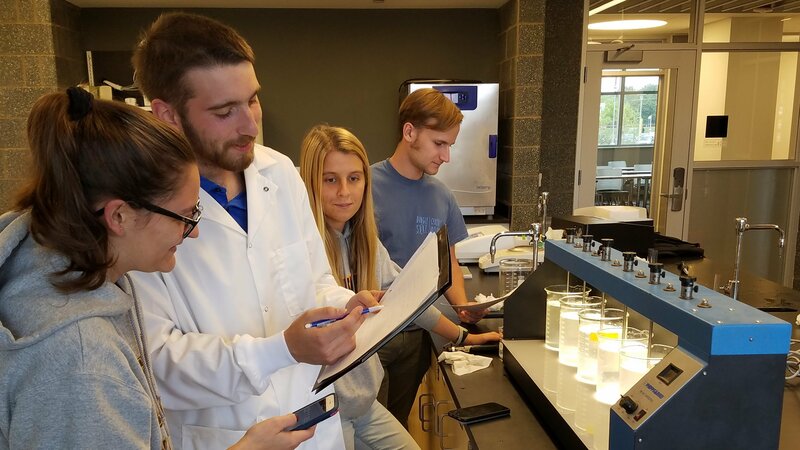 The Environmental Engineering Laboratory is designed to allow faculty and students to conduct a wide array of environmental engineering experiments. The equipment in this laboratory can be used to analyze a wide variety of water/wastewater samples for contaminants. The lab contains basic equipment such as spectrophotometers, colorimeters, conductivity meters, pH/DO meters, peristaltic pumps, centrifuges, incubators, and furnaces. It also contains a wide assortment of equipment for sampling and analyzing samples in the field. 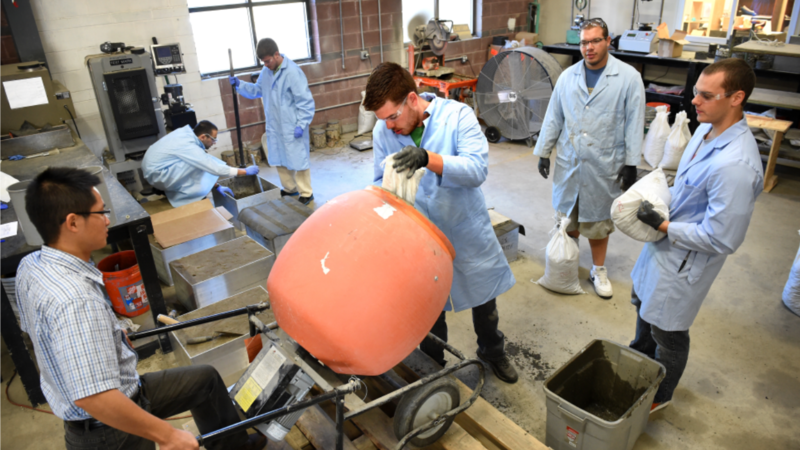 The Geotechnical Engineering Laboratory is designed to allow faculty and students to conduct a wide array of soil mechanics experiments. The geotechnical engineering laboratory has automated direct shear boxes, triaxial cells, permeability cells, and various field testing equipment including drill rigs, an infiltrometer, and a seepage tank. The laboratory allows advanced research in soils and rocks and houses advanced imaging equipment such as a table top X-ray CT, several microscopes and a Laser Induced Breakdown Spectroscopy (LIBS) setup. 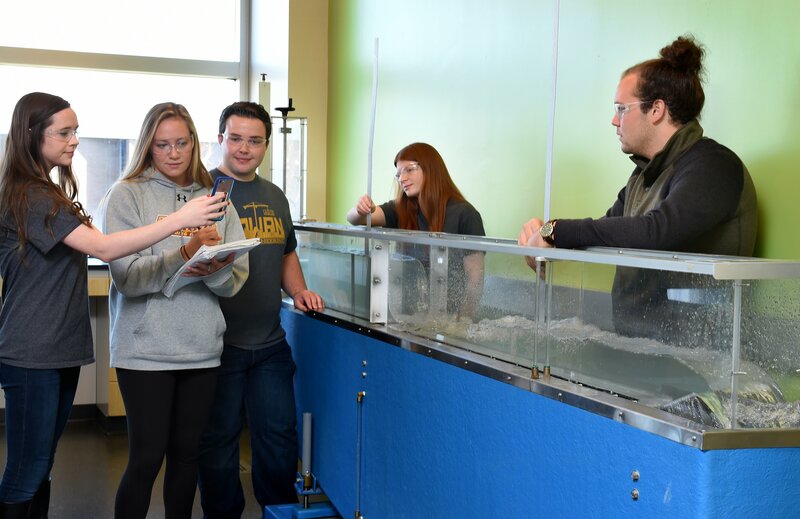 The Water Resources Engineering Laboratory allows faculty/students to conduct a wide array of fluid mechanics and water resources engineering experiments. A variety of advanced fluid mechanics and water resources experiments can also be conducted in this laboratory. Laboratory apparatus includes a 12-foot tilting flume, three hydraulics benches, and basic fluid mechanics instructional equipment for measuring fluid properties and flow measurements. 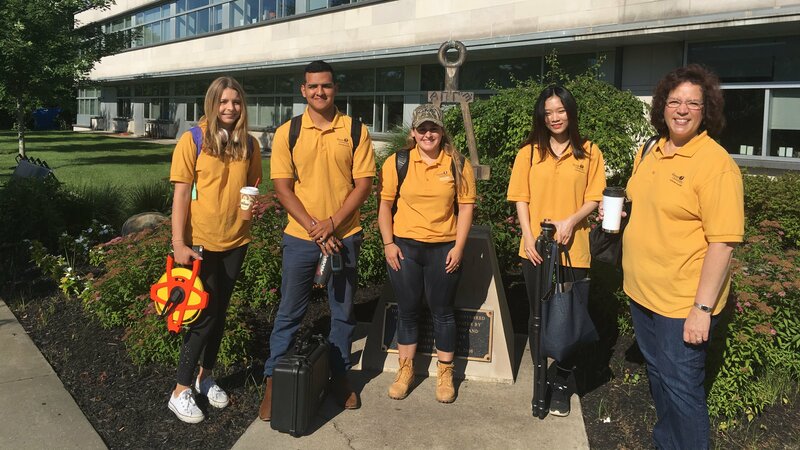 Equipment for field studies includes stream flow meters, high-precision GPS transceivers, water quality monitoring instruments, a fluorometer, and digital video recorders. 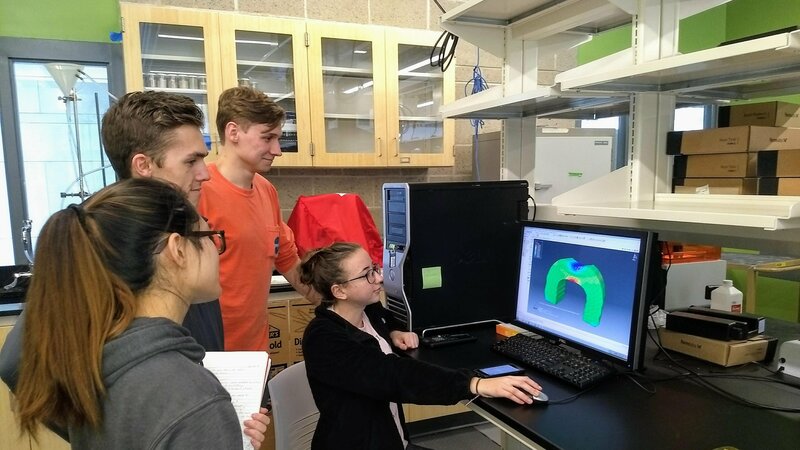 The multidisciplinary materials lab is equipped to study metals, ceramics, polymers, and biomaterials. It features 5 and 20 kip MTS test stands with monotonic and dynamic loading capability, and a 300 pound Shimpo stand, as well as various data acquisition equipment. An environmental chamber is used in conjunction with the MTS frames to simulate austere conditions. A concrete air void analyzer and high-pressure Mars rheometer are also used for analysis of cement paste and hardened concrete. Polishing capability is also available for microscopic evaluation. This laboratory is equipped with a stereo-zoom optical microscope, metallurgical optical microscope and X-ray CT scanner. 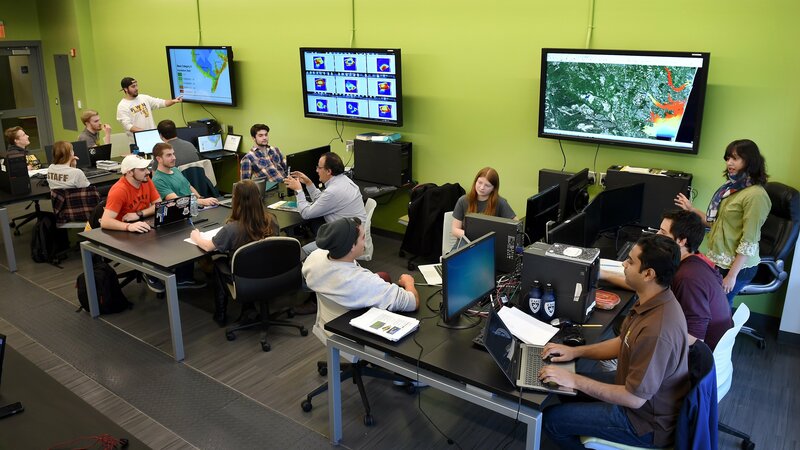 This laboratory is equipped with state of the art computers, software (TUFLOW; SMS; SWIMM; HECRAS; VISSIM; HCS; SYNCHRO) and a fleet of drones to model and analyze complex hydrodynamic surface subsurface water systems, transportation systems, and advanced water resources engineering topics. 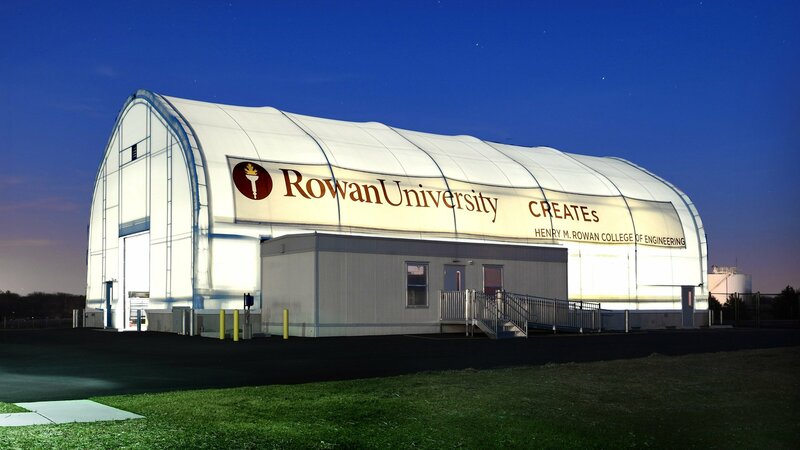 The facility houses ten desktop computers to assist with the mathematical modeling. Faculty requiring computation research support use this laboratory.